Just a few hours are left in the winding up operations of Expedition 355 in the Arabian Sea and we just recovered what we have been looking for past 60 days! We got the Basement! 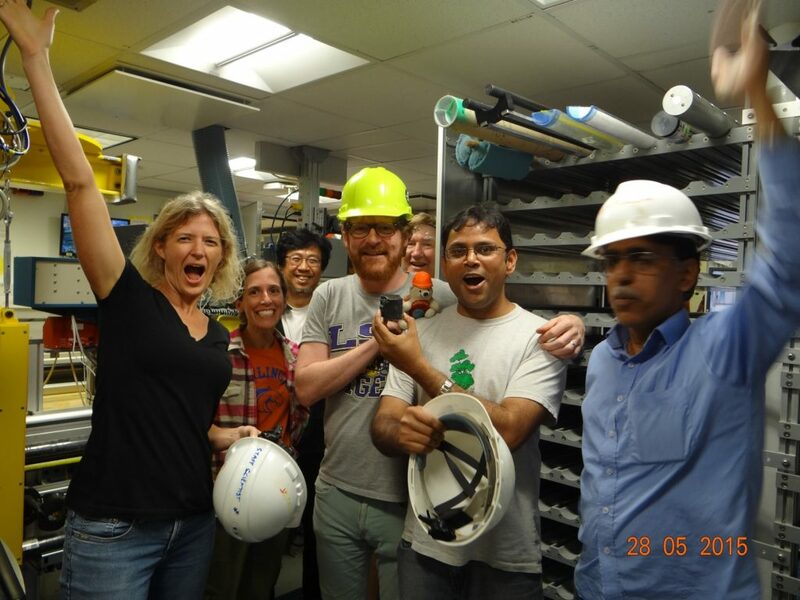 As you can see in the picture, every one onboard is very excited about this little piece of rock recovered from deep inside the Laxmi Basin, which holds crucial information about the making of Laxmi Basin millions of years ago! and guess what? We can still collect a few of them more! It couldn’t get better!